In addition to all the overhauls to its popular Predator Helios laptops, Acer has today also launched a beastly-powerful Orion 5000 gaming desktop series. This lineup is designed for serious pro gamers, who need a superior performance and a modular chassis so they can regularly upgrade their rigs. 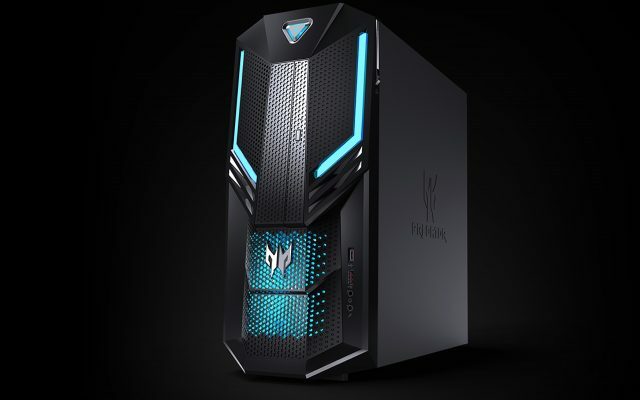 Jumping into the specs, the Predator Orion 5000 desktop will sport up to an 8th-gen Intel Core i7-8700K processors, coupled with up to 32GB of Intel Optane memory for faster load time and improved responsiveness. The Orion 5000 also gives you the choice to use up to 2 Nvidia GeForce GTX 1080 Ti GPUs in SLI (scalable link interface) to get even more out of your desktop, making the same now ready for premium VR experiences as well. In addition to the specs, as you can see in the video above, the Orion 5000 features a jaw-dropping design with an angular mesh front that hosts 2 RGB fans and they look absolutely stunning. There’s also additional LED lighting atop the mesh case and on the inside via a transparent side panel, which also makes it easier to swap out cables or components during upgrades. Getting the specs right is just half the fight. Predator Orion desktops provide a well-rounded choice for gamers with a striking chassis, built-in airflow management, expandability, and award-winning software that brings everything together. 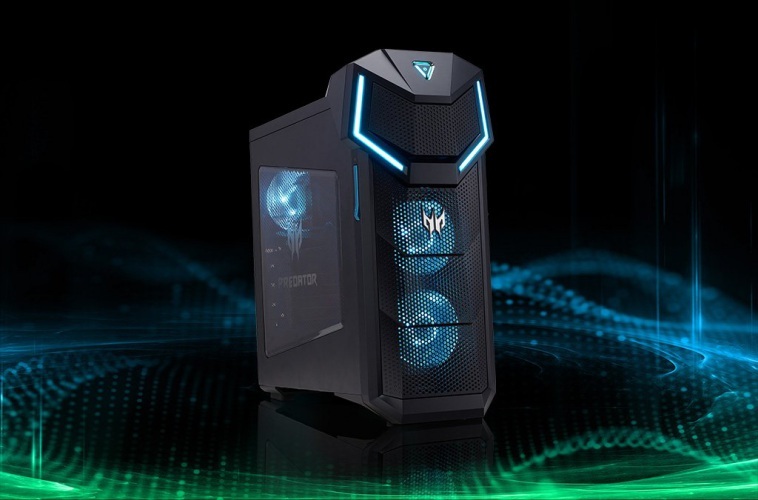 In addition, Acer has also taken the wraps off a mid-range Orion 3000 gaming desktop, which is powered by up to the latest 8th-gen Intel Core i7 processors and up to Nvidia GeForce GTX 1080 GPUs. This is backed by up to 32GB Intel Optane memory and up to 64 GB DDR4 2666Hz RAM to support 4K gameplay quite easily. As stated in the press statement, the Orion 3000 boasts of a similar angular and RGB-backed design as its bigger brother. This desktop optimizes airflow and provides some great heat dissipation with a front-facing intake LED fan, mesh cover and rear exhaust. As for the pricing, the Predator Orion 5000 starts at $1499 and lands in the U.S later in July. For the Orion 3000, on the other hand, you will have to wait until October and be ready to shell out at least $999.